Its 2012 Quarter 3 Goal Review time. We are in the last quarter already. I still cant believe it. 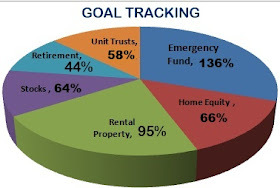 My overall goal is to live on less than 50% of my income and save/ invest the rest. This is as tough as it sounds but surprisingly, I am managing very well. Holiday in the Mediteranean Europe outside my home country with hubby. I just cant wait for this.